An overview of the recent changes to the NHS Pension Scheme to help practices answer any staff questions. By Stephen Caps. It seems in the world of pensions things never stand still and this is particularly the case for GPs and the practice’s responsibilities. The change that potentially affects all members of the NHS Pension Scheme (NHSPS) is the introduction of the new NHSPS 2015. Meanwhile GP practices also need to have in place processes for meeting their responsibilities under the government’s auto-enrolment (AE) legislation, which will affect smaller employers between 2015 and 2017. Details of the NHSPS changes can be found below. 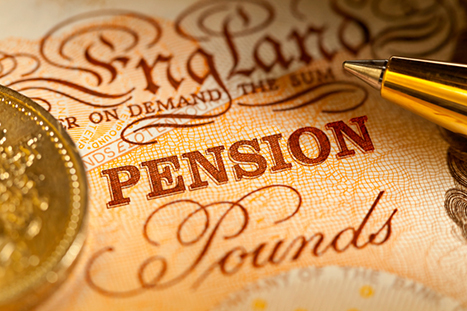 Click here for more details on how auto-enrolment affect practices. The new scheme is a career average revalued earnings (CARE) scheme rather than a final salary scheme that previously applied to employees such as practice staff and NHS consultants/officers. GPs were already in a CARE scheme. The retirement age of the scheme will be increased and is now linked to the state pension age (SPA) which will be age 67 by 2028. The accrual rate of the scheme will be 1/54th (1.85% of lifetime revalued earnings) for each year of service. Each year’s earnings will be revalued in line with the Consumer Prices Index (CPI) plus 1.5%. Some members of the 1995 and 2008 sections of the NHSPS will have scheme specific protection (either full or in part), which will determine if and when they are moved to the new 2015 scheme. The normal pension age (NPA) of the 1995 section is 60 and the NPA of the 2008 is 65. Under the existing rules benefits can be taken from these schemes at the NPA without any penalty. New employees joining the NHS after 1 April 2015 will automatically move into the new NHSPS 2015 with many having retirement ages of 67 in line with the SPA in 2028. It is expected that the SPA will rise to 68 and beyond to take into account increased longevity and therefore the retirement age for members of the NHSPS 2015 will also rise. Some members of either the 1995 or 2008 section of the NHSPS will also move to the new scheme and the date at which they are moved will depend on the level of NHS scheme specific protection they have. This depends on the member’s age as at 1 April 2012. Members will fall into three protection categories. No protection: Any member who is more than 13 years and 5 months from their existing scheme NPA as at 1 April 2012 will have moved to the new scheme on 1st April 2015. Tapered protection: Members who are between 13 years and 5 months and 10 years of their schemes NPA as at 1st April 2012 will move to the new scheme on a tapered basis, details of which can be obtained from NHS Business Authorities www.nhsba.nhs.uk/pensions/4019.aspx. Full protection: Any member who is within 10 years of NPA as at 1st April 2012 will have full protection and will not need to move to the new scheme. Members moved to the NHSPS 2015 will essentially have two pension pots from which to take benefits, either 1995 or the 2008 section and also the 2015 section. Members will be able to take their benefits from the 1995 or 2008 section at the scheme’s NPA (60 or 65 respectively) without penalty. Members will then have a choice as to whether to take the benefits from the 2015 section, in which case these benefits will be actuarially reduced to take into account the fact that they are being paid early or else members will be able to leave the accrued benefits in the 2015 section until their NPA under that scheme. If members take their benefits from the 1995 section at age 60 but decide to continue working they will no longer be able to build up rights in the 2015 section, whereas members who are in the 2008 section and take their benefits at age 65 will be able to continue buildings up rights in the 2015 section if they continue working in the NHS.